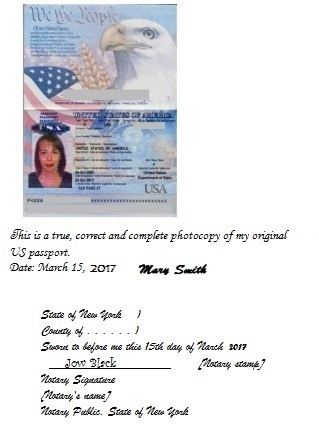 "This is a true, correct and coplete photocopy of my original ..... [description of the document]" Date:...."
Mail the document to us, and we will get an apostille or foreign embassy legalization. 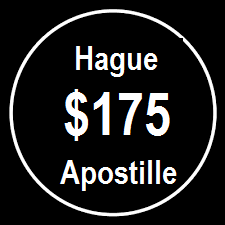 If you cannot obtain a notarized copy as described above, use our 24-hour apostille service. 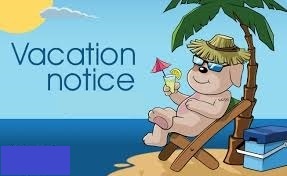 If you need your document legalized by a foreign embassy, please contact us. Apostille: $175 (FedEx 2nd day within the U.S. is included). Processing time: 3 bus. days* + mail. * If the notary public is qualified in New York, Kings, Bronx, Queens, Richmond county. Documents from other counties ususally take longer (5-8 bus. days).